If you enjoy walking and love fresh air, big skies and panoramic sea views – then you need to book a holiday near the South West Coast Path! Winding its way around 630 miles of ever-changing coastline, from Minehead to Poole, this popular walking trail is a great way to get outside and explore some of the most beautiful parts of the UK. It doesn’t matter which stretch of path you choose to walk, your efforts will be rewarded with spectacular sights. From the 95 miles of dramatic Jurassic Coastline encapsulating 185 million years of geological evolution, to the most remote, craggy, windswept cliffs on the furthest tip of Cornwall – no two treks are the same, and no outing will disappoint. Walking holidays offer the perfect escape from the daily grind. Work will fade to a distant memory as you meander past incredible rock formations, lonely lighthouses, historic forts and castles, and the abundance of rare birds, insects and plants that thrive here. Cast your gaze off shore and you might spot seals, dolphins, basking sharks, or even a humpback whale! 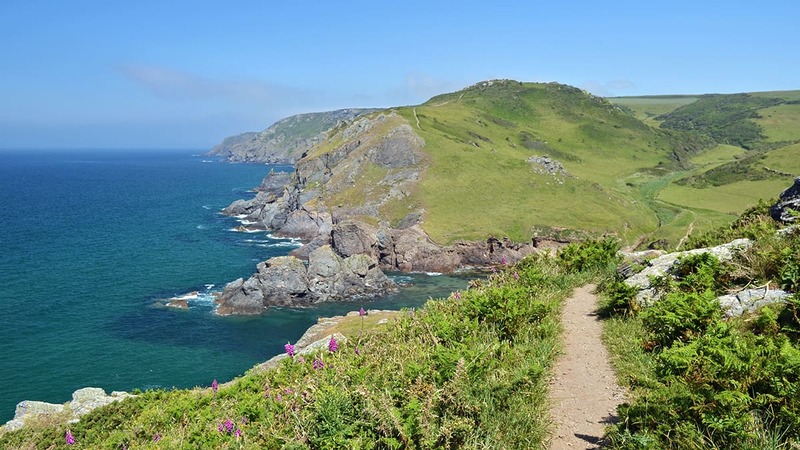 The South West Coast Path was first formed by coastguards and excise officers treading well-worn pathways between every cove and bay along the coast, on the look-out for smugglers. As a result, the path hugs the coastline closely, providing breath-taking views with every step, but rarely the most direct route from A to B. Today, the coastal path is popular among walkers of all abilities – from keen hikers to families and dog walkers – in fact anyone who enjoys exercising outside and getting close to nature. If you’re looking for a less strenuous stroll, check the website beforehand for easy access routes suitable for pushchairs, wheelchairs and mobility scooters. Of course any ramble on the South West Coast Path involves passing a few beaches along the way. Approaching on foot gives you access to some of the more out-of-the-way beaches. You might even discover a hidden cove you have all to yourself. Pack a picnic and spend a peaceful lunch break watching the waves before continuing on your way. This part of the world is famous for its cream teas, and there’s no better time to indulge than after a long hike! If you’re partial to West Country treats, make sure your route passes a café or tea room, they taste even better when you’ve earned them! Walking the South West Coast Path is enjoyable at any time of year. Blow the cob webs away on a blustery grey day, or soak up sparkling sea vistas in the sunshine. As long as you dress appropriately, it’s the ultimate free, all-weather holiday activity. Which stretch of path will you explore? 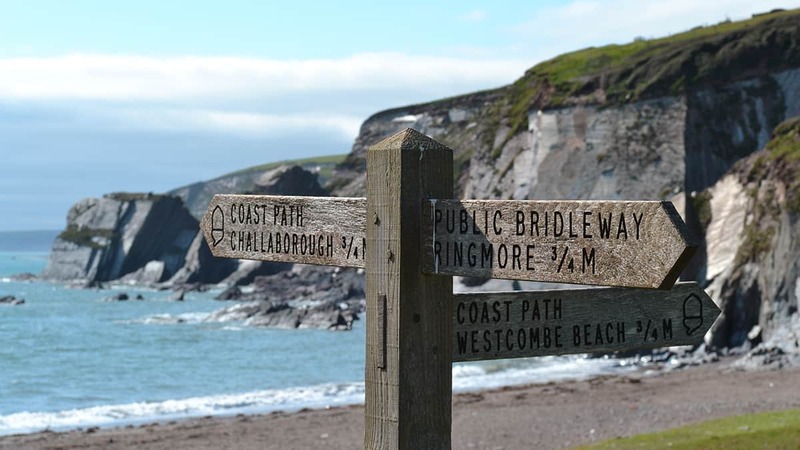 Find your perfect holiday cottage near the South West Coast Path here.